I think Blackburne was a good first choice. 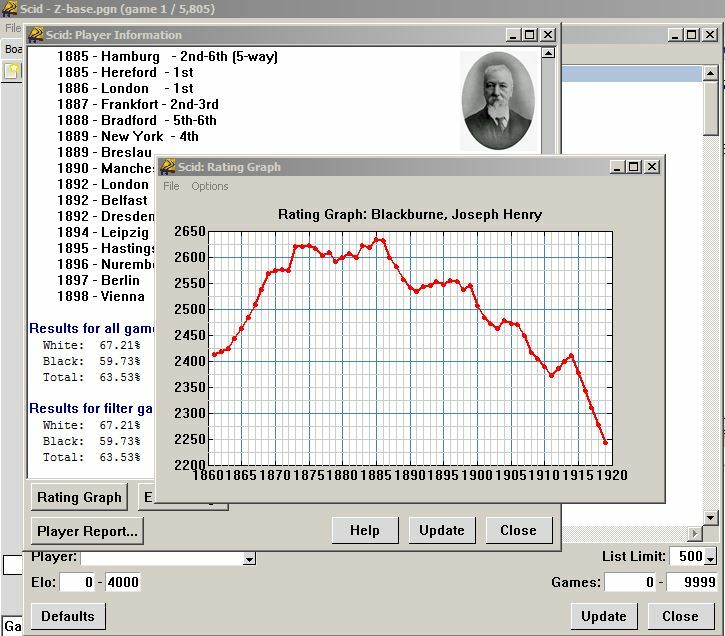 This is a very simple idea, to graph Rod Edwards’ EDO historical ratings for players in Z-base. But one which involved some fairly involved hacking to do (and which will require a little more to really be properly integrated into SCID). Still, it was a pleasure to actually see, making much of the work seem worthwhile. Not bad for a day’s (or two or three) work! Poor SCID, really orphaned since Georges left, many useful features left to decay away, as the various new versions get released. These neglected features often just become unusable, which is why I mostly run version 4.4 (despite some improvements in the Game List window that really should be folded back in – ah, but I digress). One feature, already broken in v4.4 is the ELO ratings from the player’s bio “comment” phrase, which really should show up in the Player Finder window. Now, I haven’t fully restored the proper functioning, but I did add a recalculate call for a reload of a spellcheck file (aka .ssp file). That allowed me to get the EDO ratings that are seen below. 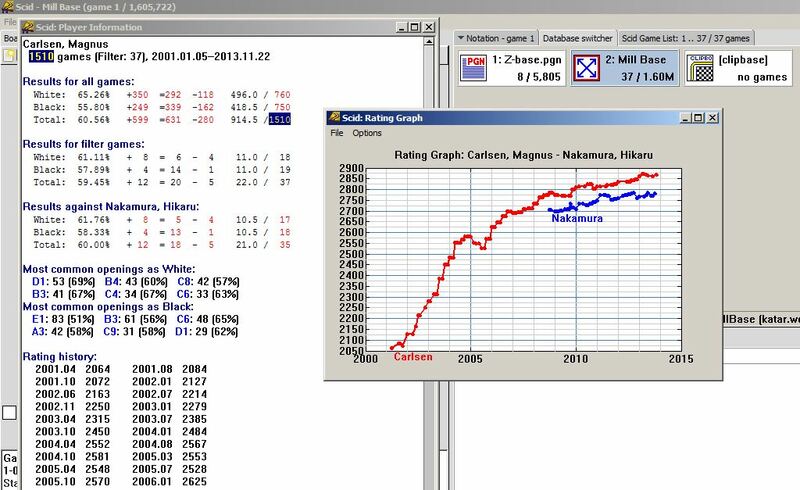 I scrolled the header off, but the green numbers are no longer all zero in the Player Finder window – instead they show the EDO rating from the player’s heading in the bio file (zbase.ssp). I used the weighted EDO average instead of the Peak rating – a topic of future discussion (I’m not convinced what number is more useful). 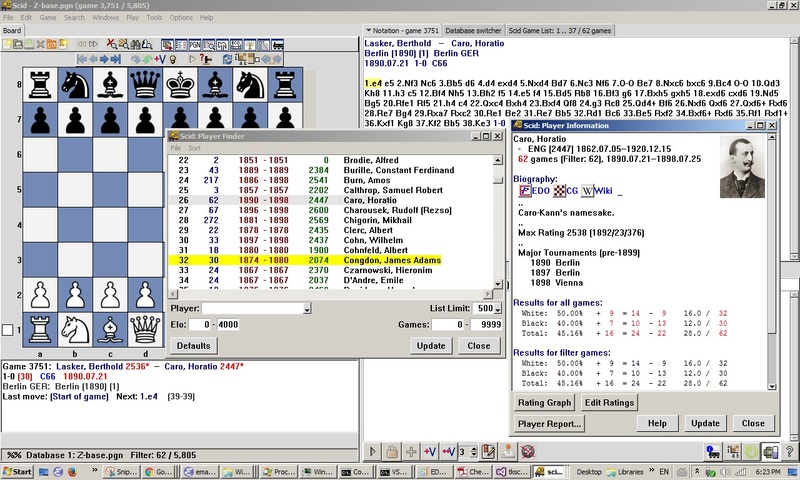 Aside- Note the fixed highlighting – the player clicked for the Player Information window is gray highlighted in the Player Finder window. 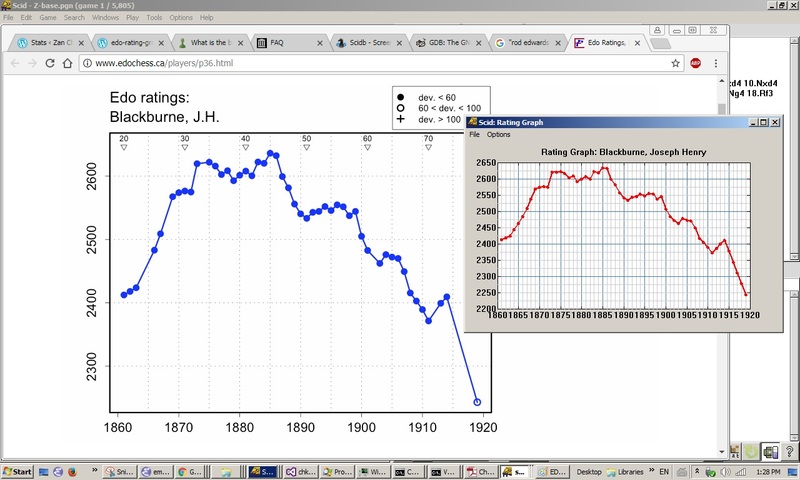 Microsoft doesn’t show the cursor in a screenshot (perhaps they should? ), but the cursor what on Congdon’s entry – as shown by the yellow highlighting (vs Caro’s gray highlighting). 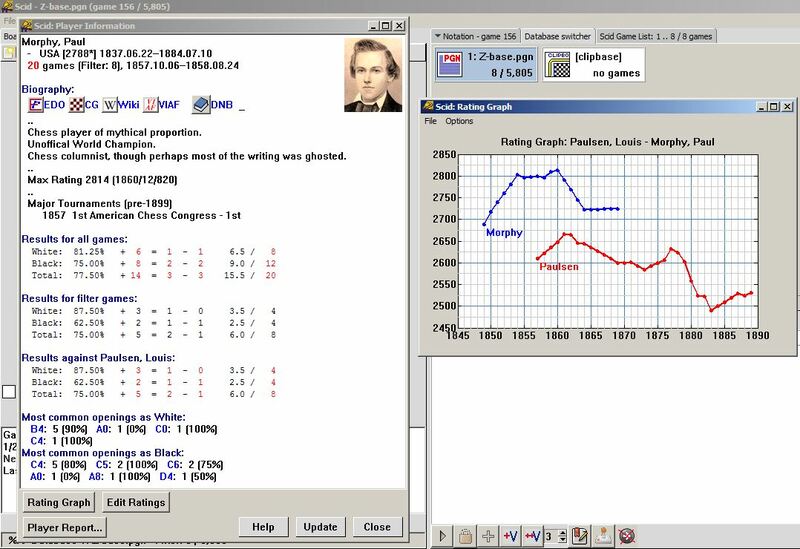 London (1862) – Preliminary results and xtabs.